A product launch is both an exhilarating and terrifying time, especially when you’re launching something brand new. A membership launch is no different, although unlike some other offerings a membership site doesn’t need to live or die based on a launch alone. Which can take some pressure off! 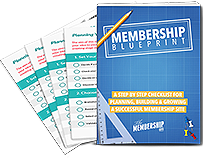 However you do still want your membership launch to be as successful as possible. After all, the goal of any launch is to get as many people as possible aware of your product and, hopefully, purchasing. For a membership site that means you want an influx of members at this point in order to give your membership some momentum to move forward with and to get your community up and running. But how do you ensure that your launch is a success? Whilst having a large existing audience can certainly help, it’s by no means essential. We started the Member Site Academy with less than 500 people on our email list! The key to a successful launch is in fact the amount of interest and buzz that you generate. It stands to reason that the more people who see what you’re offering, the greater the number that will buy. So, how do you get people excited about your membership launch? How do you get your launch in front of as many people as possible, even if you don’t have a large list? In this post we’re going to take a look at 6 of our favourite tactics for launch success. Offering your audience some sneak peeks of your upcoming membership site, or a look behind the scenes, is one of my absolute favourite things to do. Not only does it get people excited about your launch, but it also gives them something visual to bring to mind when you talk about the membership. 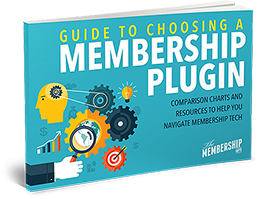 The more someone can actually picture your membership, the more interested they will be and the more likely they are to know whether it is right for them or not. You could do a full behind the scenes walkthrough of your site, or you could do a slow tease with occasional screenshots showing different areas of the site or things that you’re working on. You can also utilise videos or photos of you in the process of creating the site and content, as well as explaining your why for the membership. Getting a look behind the scenes also has the added benefit of letting your audience feel more involved in your site and your launch, and more likely to share the news. Live video is all the rage these days and with good reason. It’s one of the best ways to really connect with your audience and allow them to get to know you on a deeper level than is possible with writing alone. It’s also a great way to respond to questions and feedback in real time, and really tune into what your audience is interested in and which of your messages hits home. Using Facebook Live, Periscope and other video options in your pre-launch can be a great way to build buzz and excitement for your launch whilst also developing a deeper relationship with your audience and making them feel involved in your success. You can also run live Q&A sessions throughout your launch itself, and use these as a way to increase desire as well, for example by mentioning people who have purchased whilst you’re live (people like knowing that other people have bought!) and mentioning initial feedback that you’ve received, as well as offering special bonuses for those who are watching live. Everybody loves the chance to win something! If you want to get your site shared far and wide then a competition or giveaway can be a great option for this, especially if you make sharing a condition of entry. Your competition could be as simple as sharing to win the chance of a free membership, or you could go all out and have a selection of different prizes. Whilst the easiest competition or giveaway is one which is based on actions like signing up to your email list and sharing on social media, you could also create a more interactive competition that really gets your audience involved, such as a photo contest or a video competition. Related: Can You Launch a Membership Site Without an Audience? If you’ve spent any time at all as an online business you’ve probably seen some big name launches that rely entirely on affiliate promotion. Or affiliate armies as I call them. There’s no doubting that having a group of people spreading the word about your membership with their own audience (especially if their audience is large) can do wonders for a launch, especially if you don’t yet have much of an audience of your own. How successful using affiliates is though depends on how likely their audience is to actually want what you’re offering. So do consider that when choosing your affiliates and ensure that they are the right fit, rather than just accepting anyone and everyone. You’ll obviously also need to give up a percentage of your launch income as well if using the affiliate approach, but if that is a percentage of income you wouldn’t have received otherwise then it’s definitely worth it! The key to using affiliates successfully for your launch (in addition to making sure they have the right audience!) is to provide them with all the information, graphics and shareables that they need to really promote your membership, rather than just giving them an affiliate link and leaving them to it. You want your affiliates to be excited about what you’re offering too! If you haven’t yet got a substantial audience of your own then guest posting or doing guest interviews on podcasts can be a great way of increasing your reach and your email list. In fact, it’s a great thing to do even if you do already have a good sized audience of your own! The more people you can let know about your membership launch the more successful your launch will be, and utilising other people’s audiences to spread the word is a great option. Whilst using affiliates will also put your membership in front of a wider audience, the beauty of guesting on other people’s blogs or podcasts is that people get to know you, your message, your experience and why you’ve created this membership. 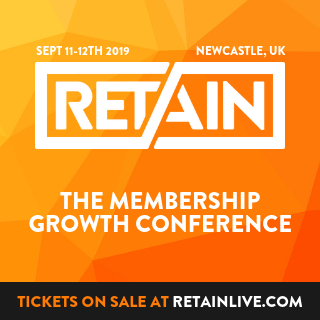 If you can arrange it, having a number of interviews and posts go out in the pre-launch and early launch stages can really up the ante and generate a lot of buzz about your membership. Online challenges are becoming more and more popular. Whether it’s ‘5 days to train your cat’ or ‘30 days to build your membership’ (yep, we ran that challenge as part of our launch!) a free email challenge can be a great way of growing your email list quickly. Challenges are also a good way of demonstrating your area of expertise and ensuring that the people signing up are those that would actually be interested in the membership that you’re going to be offering. Typically challenges are done via daily emails for the length of the challenge, but increasingly you may find Facebook Groups and Facebook Live being used as well. You can really be creative here and choose any format that will appeal to your audience. We’ve found it works well to time the end of your challenge, whether it’s 5 days or 30, with the start of your launch. People are still excited by your challenge and want to carry on and learn more, so it’s perfect timing and your challenge subscribers will often be your first members! So, there you have it, some of our favourite ways of generating interest both before and during the launch of your membership. You’re probably not going to want to use all of these options for your launch, that might be a bit of overkill. Instead, I’d recommend choosing the 2 or 3 that are most suited to you, your topic and your target audience and going all in on those. The beauty with a membership site is that you can always try the other tactics for future promotions! Download our free Launch Tactics Checklist to get even more ideas for a successful launch!